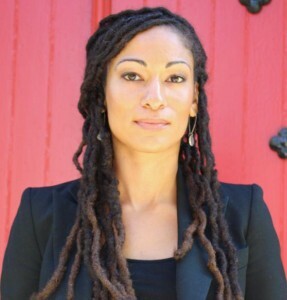 In November, Ruha Benjamin, Assistant Professor in the Department of African American Studies at Princeton University, visited CSSD’s Project on Precision Medicine: Ethics, Politics, and Culture to argue for a re-imagining of innovation and equity in the era of precision medicine. Her presentation, “Can the Subaltern Genome Code?” presented a number of competing struggles over the future of precision medicine, positioning the field in a contemporary landscape of racialized inequality and disparities in access to genetic information. The stakes of precision medicine, Benjamin explained, involve thinking through the underlying reasons for scientific intervention in human genetics. She emphasized that it is crucial for stakeholders involved in the creation and imagination of precision medicine’s possibilities to also reimagine inequality as a concept with biological underpinnings. Benjamin also challenged the policies of some states, like the U.K. and Kuwait, that have adopted border-control and information-gathering policies based on the notion that social differences such as ethnicity and nationality can be verified with genetic groupings. This false diagnosis of identity brands national populations as biologically distinct, and thus naturalizes boundaries, instead of celebrating genetic sovereignty, Benjamin said. Benjamin highlighted the importance of imagination as a tool to think through ethical challenges that arise with advances in genomic science. She cautioned the thinkers and creators of precision medicine to be vigilant about the potential for the creation of hierarchies based on genetic differences. Those who invest in biotechnology don’t limit themselves to the “realistic” when it comes to imagining the possibilities of precision medicine, she reminded the group, inviting those who are concerned about genomic science’s ethical stakes not to limit their imaginations for alternative possibilities, either. In a working group session the followed, members continued to examine the question of inequities by applying questions of bio-constitutionalism to the realities of the Precision Medicine Initiative (PMI). Responding to group members’ questions about informed consent and informed refusal, Benjamin introduced the idea of a consent framework known as “DNA on loan”—a means of navigating genomic rights among marginalized groups. Within this framework, Canadian researchers collecting genetic information from First Nations tribes cannot simply obtain one-time consent, but must return to the community and ask them to re-consent as research progresses. Building on these concepts, the question of the “right not to know” was brought forward as an issue of informed consent. With increased knowledge of genetic predictors of illness coming forth as a result of initiatives such as PMI, group members argued, questions of consent apply not only to participation in studies, but also to the potential for knowledge of a genetic risk for an illness. With a growing effort to identify relationships between genes and manifestation of illness, what are the limits to informing the participant of potential statistically, but not clinically, significant genetic findings? Benjamin pointed out that consent starts with incorporating the reality of the participant as a part of the process—that it is not simply a single moment of consent, but a process of building a relationship. By shifting the onus of responsibility to provide pertinent information from the participant to the clinician/researcher, Benjamin suggested, researchers can begin to enable the subaltern to genome code. To achieve such an empowering person-to-person connection requires a restructuring of the foundation upon which clinicians are trained: not in cultural competency, but rather in cultural humility. Benjamin advocated for physicians to broaden their perspectives beyond what they need from the participant, and instead attend to what narratives and experiences the participant brings to the clinical encounter.